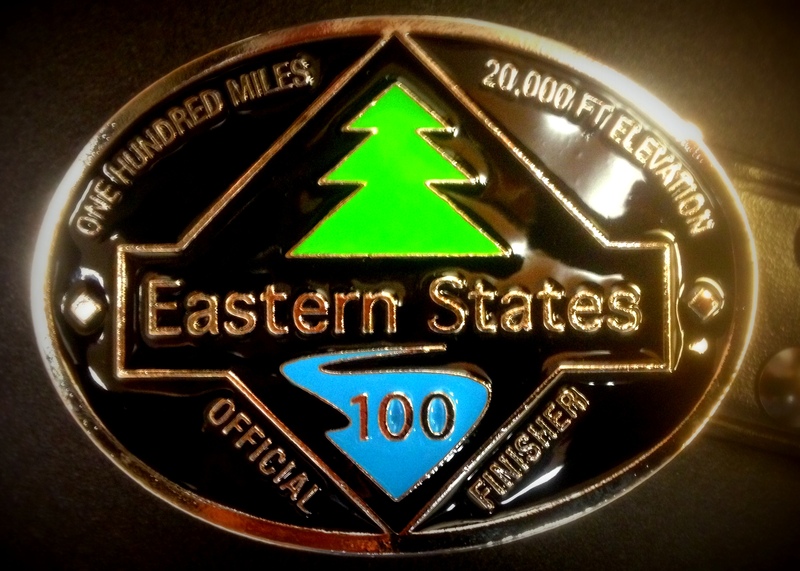 Eastern States 100 Offers a Beautiful and Challenging Course! Awesome! Running a race its inaugural year can sometimes be a gamble as the kinks are worked out and lessons are learned. 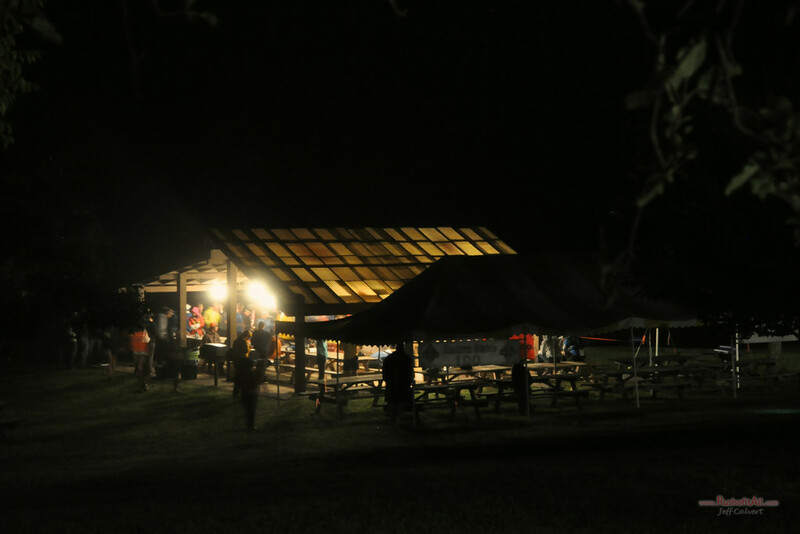 Fortunately the Eastern States race directors and volunteers did an incredible job hosting a premier event. 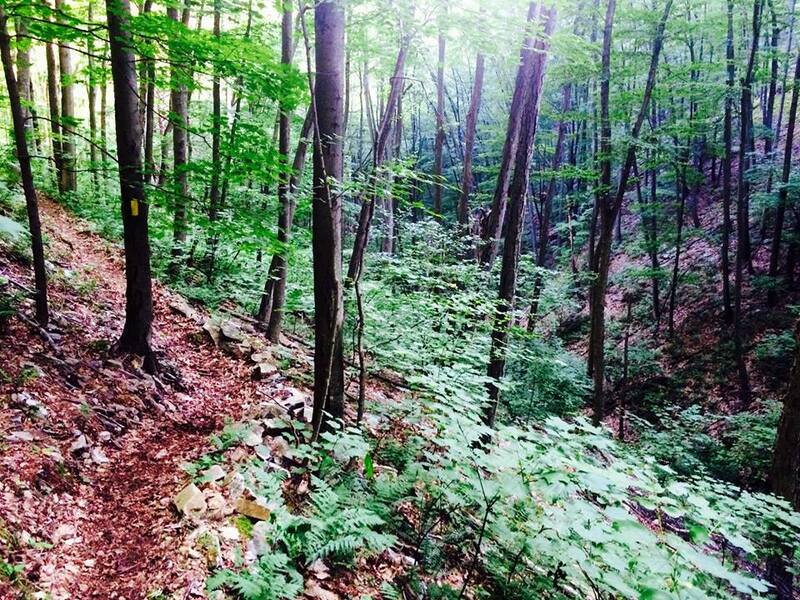 The transformation of the trails in the “Grand Canyon” of Pennsylvania over the last several weeks was absolutely amazing. I had run the last 70 miles over the last couple of months and on race day the Stinging Nettle and other shrubs were completely removed from the trails. 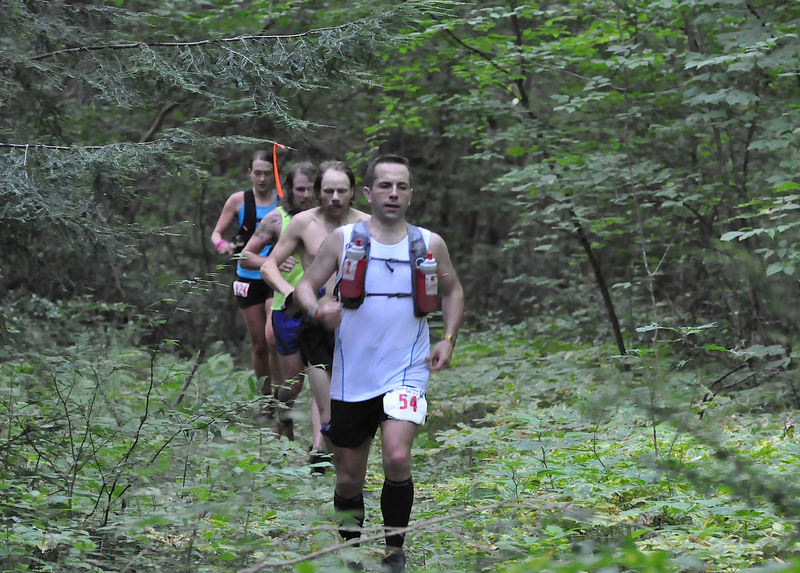 The course was well-marked and the support from the aid stations was world-class. Fortunately they left plenty of roots, tons of rocks, and enough stream crossings to keep us crazy runners busy on our journey. 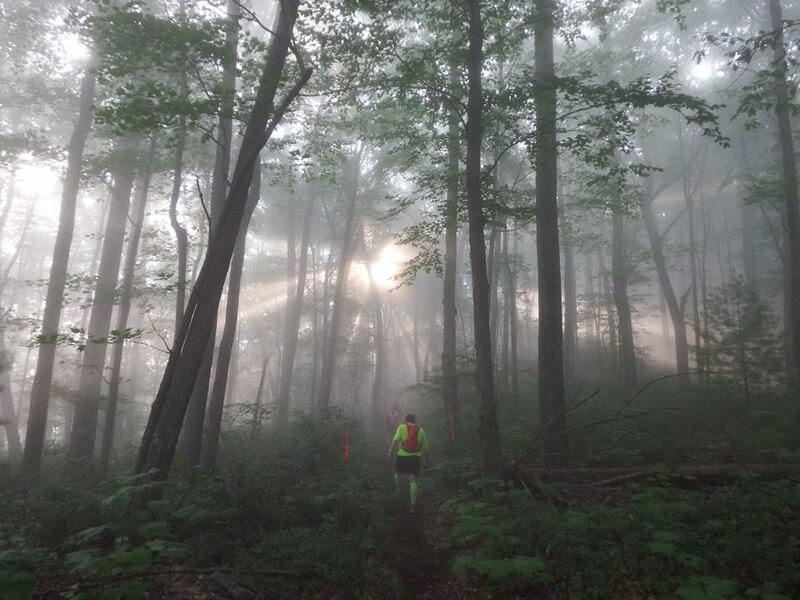 It is a great course with over 20,000 feet of elevation gain and a couple of extra miles for no additional cost. I am convinced that the combination of a great name with a beautiful and VERY challenging course has the potential to have this race draw some of the worlds greatest runners in the future. Despite having an amazing experience at WS100 a couple of months before, I was disappointed with my result there as I have previously written. The one good thing about not beating up my body at WS100 was that I was in great health going into this race and looking forward to completing the “States Slam”. Based on this I decided to approach this race very differently than I have any other 100miler. I went to ES100 to compete and to try and place well in the field. Time was less of an issue since it was the first year and no one knew what to use as a baseline. This mentality was unique for me but also dangerous given the length of the race. I had to run within myself and push harder than I normally might without crossing the line where a blowup was always within reach. For a race taking place in mid-August, we couldn’t have asked for better weather. It was cool at the start and turned out to be a beautiful day overall. I shudder to think what the finish rate and times might have been if we had experienced a typical hot summer day. There was excitement in the air and everything was well-organized for check in. After a short sprint on some road and through a camp site, we quickly hopped on some trails and began a long conga line in the dark. There was lots of banter and the joking until we hit the first wall around the 3.5 mile mark. While the climb at first was steep, it only got steeper as we continued to climb. I was jealous of the handful of runners who had poles but still would not use them based on my preference. However, we were all lucky here once again. While the temperatures were ideal, the fact that it wasn’t raining was another blessing in that this climb would have been even more dreadful otherwise. The first was definitely the worst of the 5 climbs we faced during the initial 25 miles of the race. I stayed with a group that was towards the front and although we changed positions a few times, I stuck with them for the early part of the race. Everyone was being super supportive of one another and things were progressing nicely. My plan was to remain patient and not over exert myself until mile 30. The mental aspect of knowing the course from that point and the knowledge that my family would be waiting for me at the Aid Station (AS) near mile 36.5 helped me maintain a strong pace. I passed the Happy Dutchman AS near mile 30 and picked up the pace. After running on some snowmobile trails and through some woods, I knew the road was approaching. It was awesome to hear my wife and kids cheering for me as I approached the opening in the trees. I did have some concerns that there might be some fighting with 4 kids who would be spending the day on the road in the truck with my wife and pacer. To try to avoid this I had given them each a specific job to do. They were all incredibly helpful and had fun supporting me on this adventure. They helped me switch my bottles, provided food, made sure I had my Heat Guard pills, got new clothes, and other request from Dad. My pacer Jimmy had brought me to the start and was hanging with my family until he joined me on the trails at mile 60. I was glad he was there given his knowledge of the crewing and the ultra-scene. When I left them at mile 36.5, I picked up the pace to try to quickly meet them at Hyner Run AS (mile 40.9). I did well but some of that section was run under power-lines and I was exposed to the sun for a couple of miles. I began to feel warm and regretted turning down my wife’s suggestion to use my ice-cap from WS100. 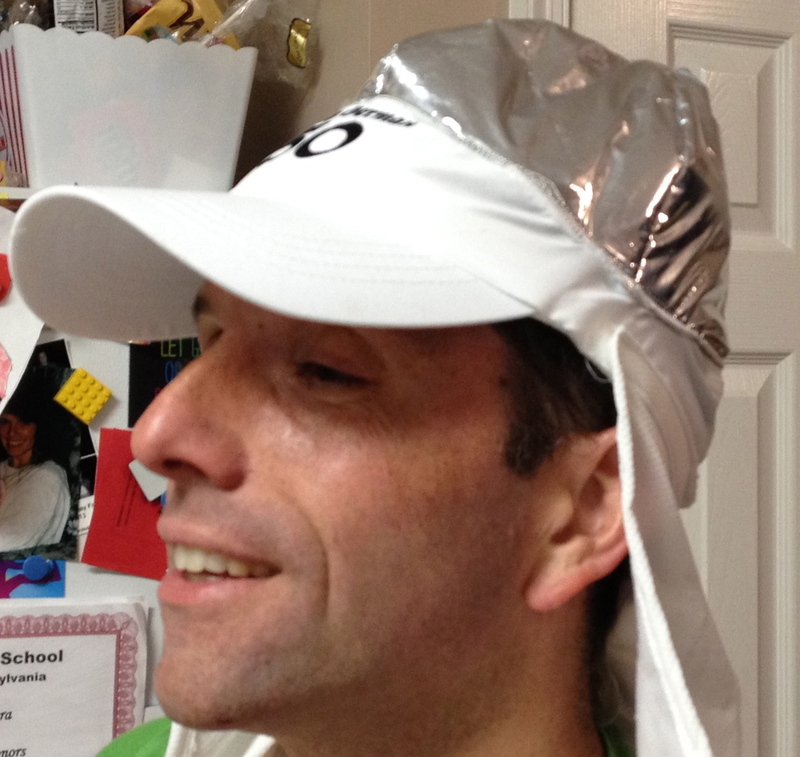 However I did use this great cooling device for the following 10 miles to help cool down. I was within a mile of the Halfway House AS (mile 51) when I faced a few steep short hills I had not remembered from my training run but I dealt with them and arrived at the AS with the cow bells ringing and family cheering. I sat down for the first time and regrouped with a change of clothes and some chicken noodle soup. I felt good (as good as you can after 50+ miles of technical and hilly trails), rested for a few minutes, and took off looking forward to having Jimmy join me at Slate Run AS (mile 60.9). There’ll be no condemnation here; You are holy, righteous and redeemed…. As I sung out loud at times, I was having fun on this section of the course. I approached one runner who was having some trouble and he told me he was going to drop out at the next aid station. I asked if he was bleeding, broke anything, or threw up? After confirming these were not factors, I told him to keep going and to walk the remaining 45+ miles if he had to. 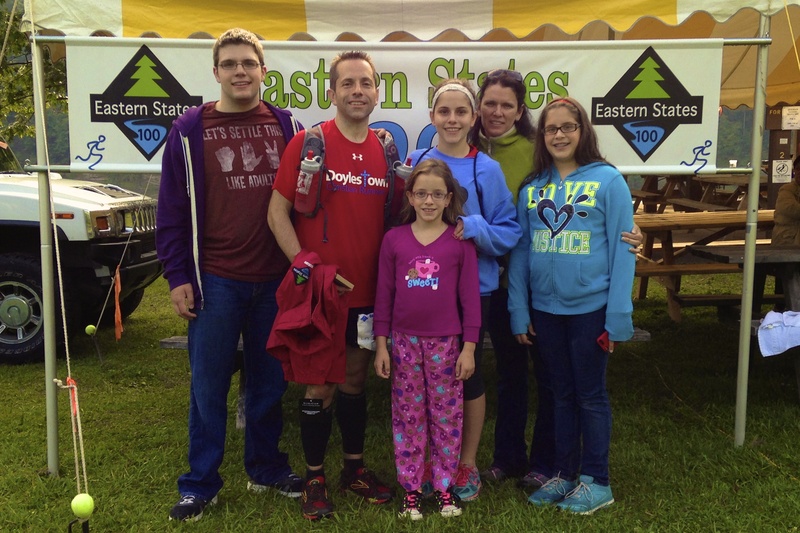 It was the inaugural ES100 with perfect weather and he needed to finish what he started… I can only hope he did. Jimmy joined me at mile 60 and within 300 yards of the aid station we passed through the largest stream crossing of the race which I hadn’t expected. It wasn’t the first or last time I was surprised by a section that I had not run or remembered from training because I either misread a map or wasn’t sure of the exact trail. This became an ongoing joke (frustration) with Jimmy as I tried to tell him what the course was like ahead. It was even a challenge for the parts of the course I did remember. I realized more and more that running on trails during a training run with fresh legs feels very different from when you have 60, 75, or 90 plus miles on them. Trails that I had previously expected to be “runnable” were much more challenging than I had remembered. Fortunately it was the runner and not the pacer that was setting up false expectations. 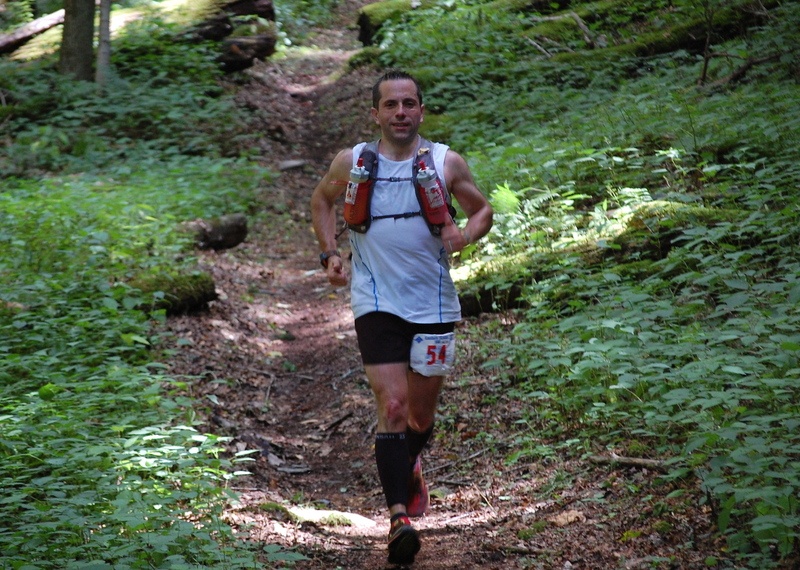 At WS100 I allowed myself to take a nap once I fell off goal pace. It was the first time this happened and this was not a practice I planned to adopt moving forward. However the desire to sleep appeared again as it always had. I tried to fight it with extra caffeine, music, and other strategies. However it was when Jimmy began asking me questions about my faith and church that I woke up. Although we didn’t know each other very well, my blog, DCR shirt and other discussions made it fairly apparent that this is an important part of my life. This discussion and the focus on church and the Lord helped me to refocus and re-engage. While Jimmy acknowledged that he planned to use this tactic to help me keep going, I was amazed at how well it worked. We faced several difficult descents and climbs but continued on at a steady pace. After Blackwell AS (mile 78.2) we began our mile ascent up a climb I had been dreading. For some strange reason it didn’t seem as bad as some of the earlier climbs and we were on our way to the Sky Top AS (mile 82). 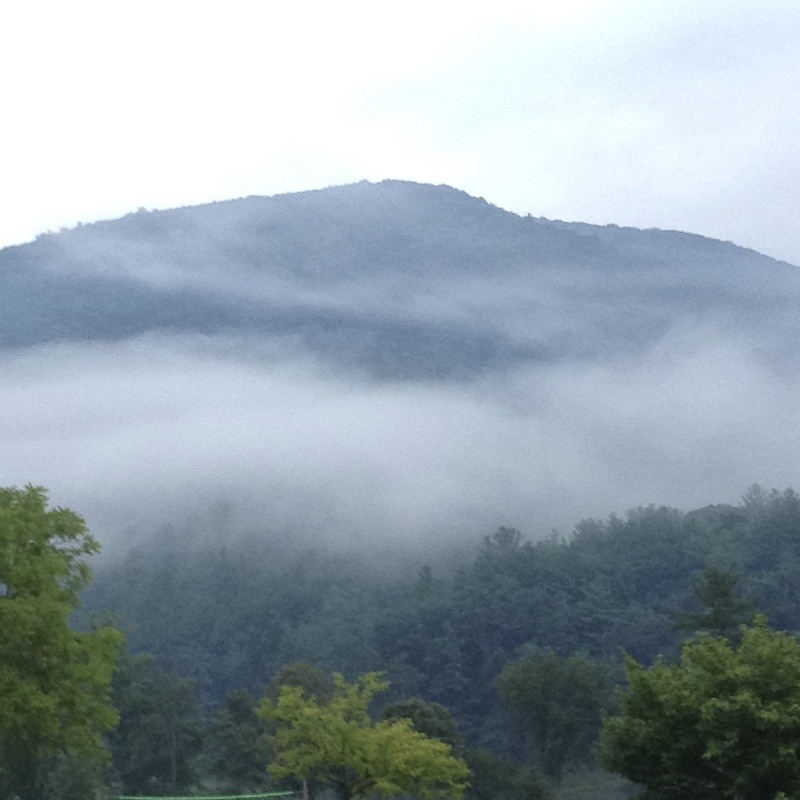 It was in the early hours of Sunday morning when the temperature began to drop and the rain began to fall. Fortunately both Jimmy and I had raincoats but others we passed did not fare as well. When we got to the Sky Top they took care of us. It was fully stocked and the volunteers there were great. They provided us with everything we needed to finish that last 18 miles. The second sunrise meant my second wind and I could “smell” the barn. If there was one part of the course I wish I had gotten right on my training run it was the last couple of miles. Unfortunately I got this wrong as well and wondered whether I was going right despite the trail markings until I was within a quarter-mile of the finish. Aside from being the inaugural run of ES100, there were so many firsts for me that are too numerous to list. However some of them were notable and include this being the first Ultra event my family joined me for. They crewed for me and having them there for me at aid stations and at the finish of my longest century run very special. Other first include previewing 70% of the course in advance. Despite not remembering as much as I thought I would have (trails look rather different when they are clear), there was a definite comfort in getting out there in advance and it is something I would do again at future races if given the chance. Finally I approached this race with a different mindset of being competitive. It forced me to push myself at times when I might have previously calculated my splits and tried to determine if I was on or off schedule. The net result was very exciting with a 28:04 finish that placed me at 18th overall and in the top 10 for the master’s category. Like my previous race this year there are so many learnings that I hope to share in future, shorter posts. I look forward to hearing from you as well as any questions future ES100 runners may have for me! 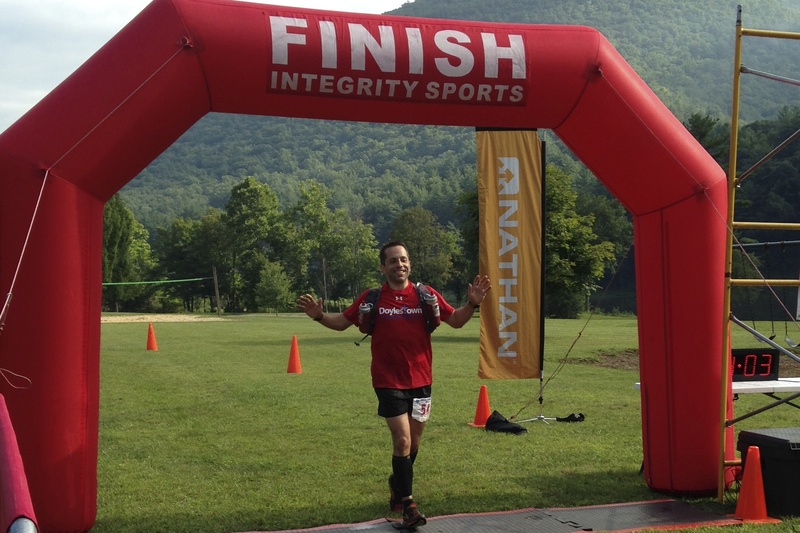 This entry was posted in Challenging, Doing our best, Goals, Hebrews and tagged Eastern States, Faith, fitness, God, running, ultra running, Ultramarathon, Ultrarunning, western states. Bookmark the permalink. 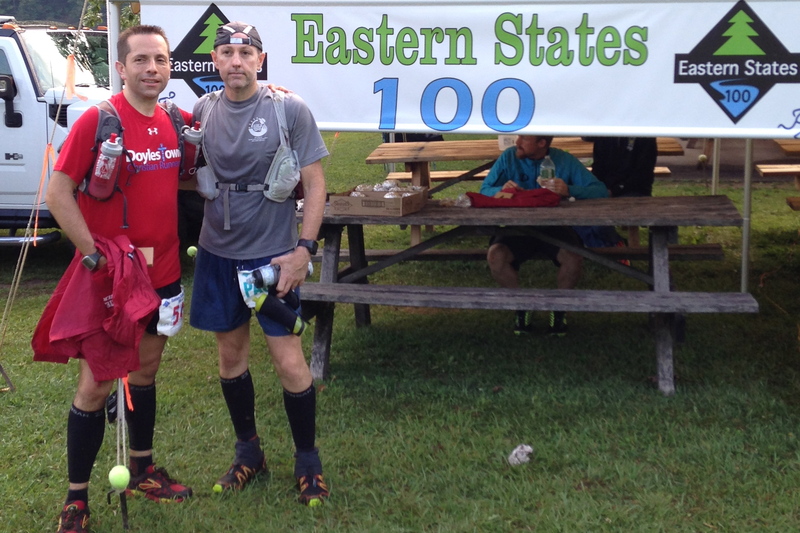 6 Responses to Eastern States 100 Race Report: STATES SLAM COMPLETE! I love MercyMe’s song ”Greater”. One of my current favorites! Congrats on your first century! 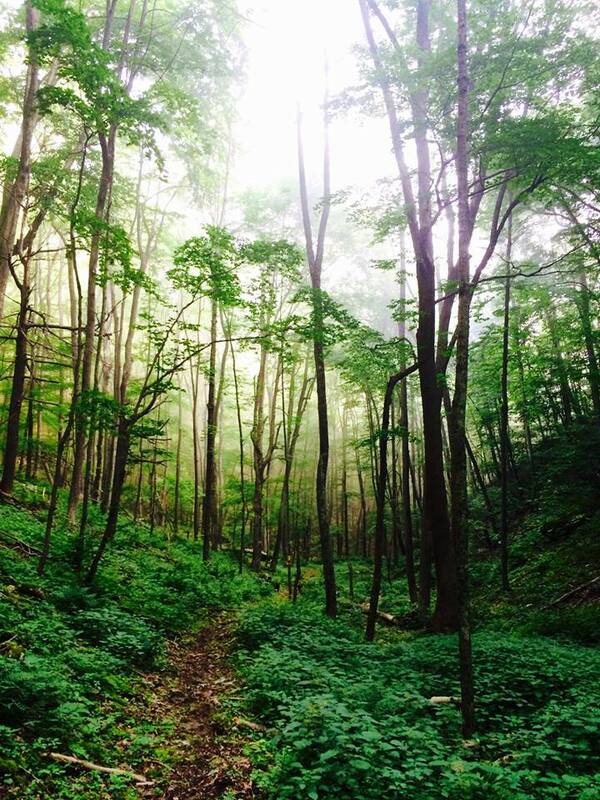 As for ES100, you nailed it: “a LOT of hill work and get comfortable with running on rocks”. 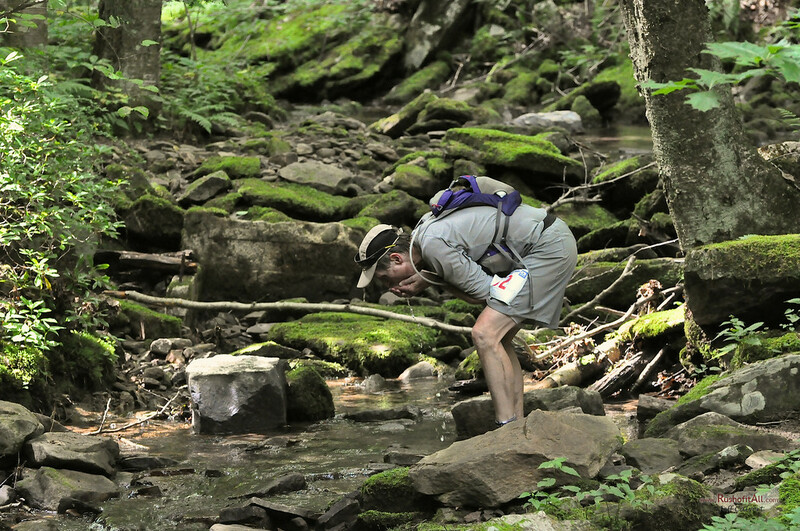 Running through creeks should not be as much of a factor in 2015. I heard from the RD that the big crossing I referenced in my recap now has a bridge. While some will be disappointed, its one thing you won’t have to deal with. Feel free to reach out if you have any specific questions and maybe I’ll see you out there as I may volunteer if my schedule permits.